Whoa nellie! 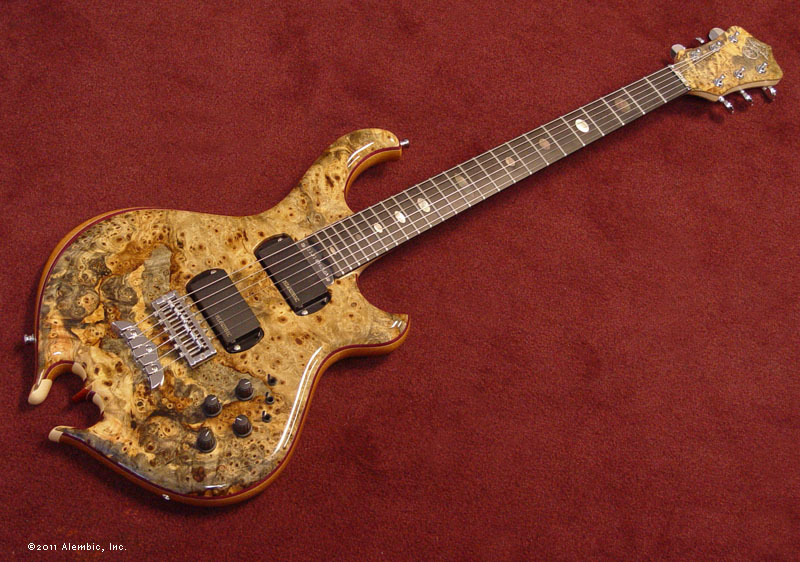 This is the sort of guitar that will stop you in your tracks. 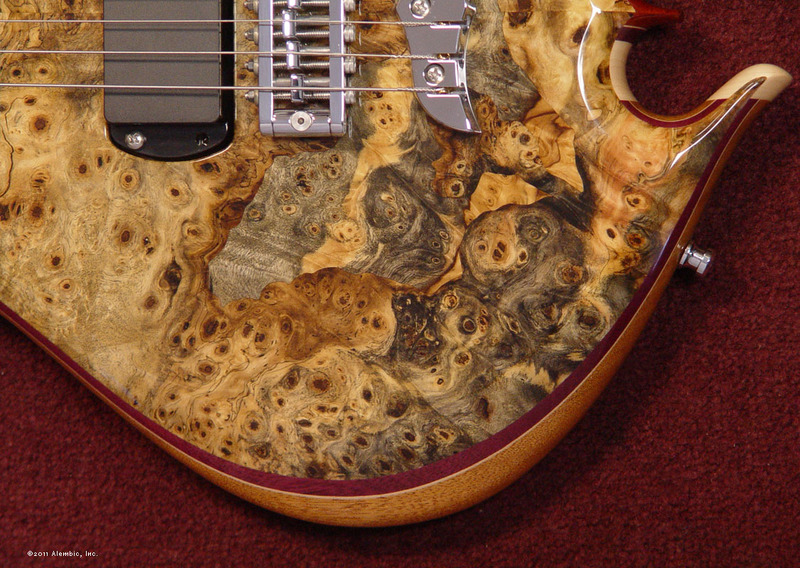 Absolutely stunning wall-to-wall Buckeye Burl top is the first thing that catches your attention. 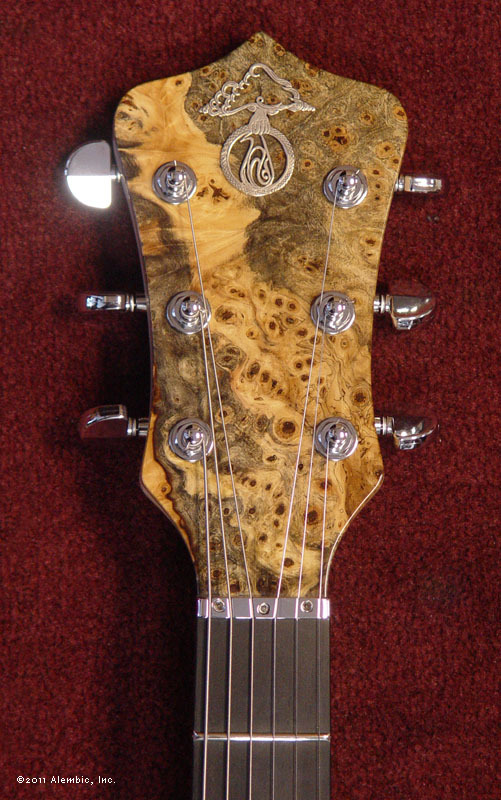 Then the little things start to sink in: black Tahitian mother of pearl oval inlays, chrome hardware, tulip tip on the end of the fingerboard, heart omega carving, Buckeye Burl on the front and back of the peghead... it's a custom guitar alright, except that it's ready to ship without the custom wait. 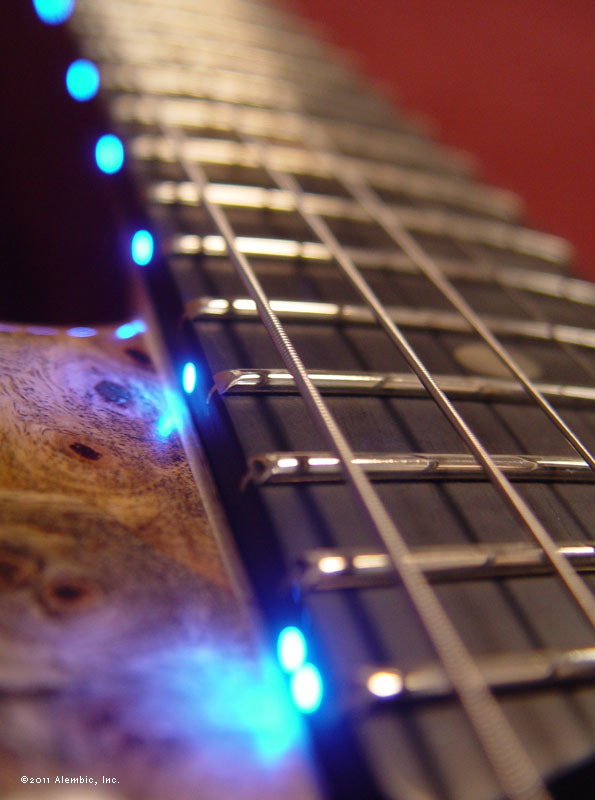 Electronics are straightforward and useful: volume, filter, and on/off/bright switch for each pickup, plus an on/off switch for the side LEDs. 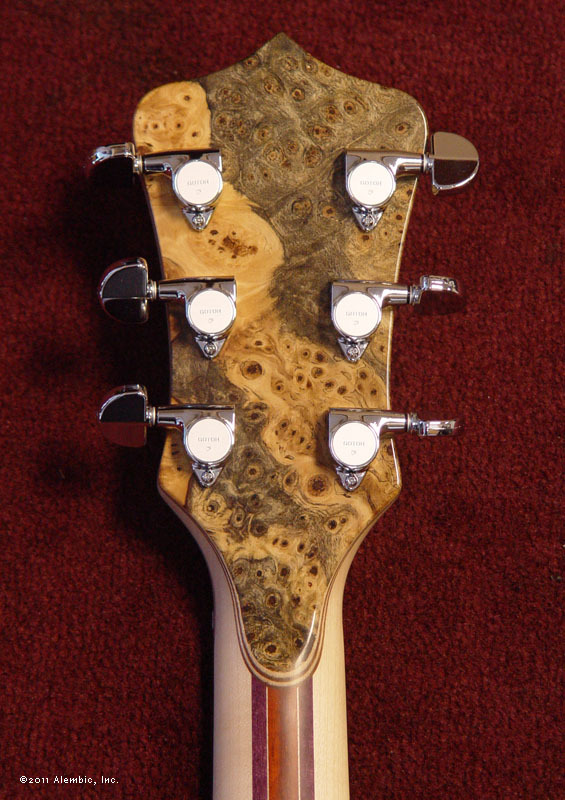 Our sidemounted jack is industrial strength, unlike the typical wimpy barrel jacks that are on most guitars. These are long-frame connectors like were used in telephone switchboards, with welded palladium contacts. 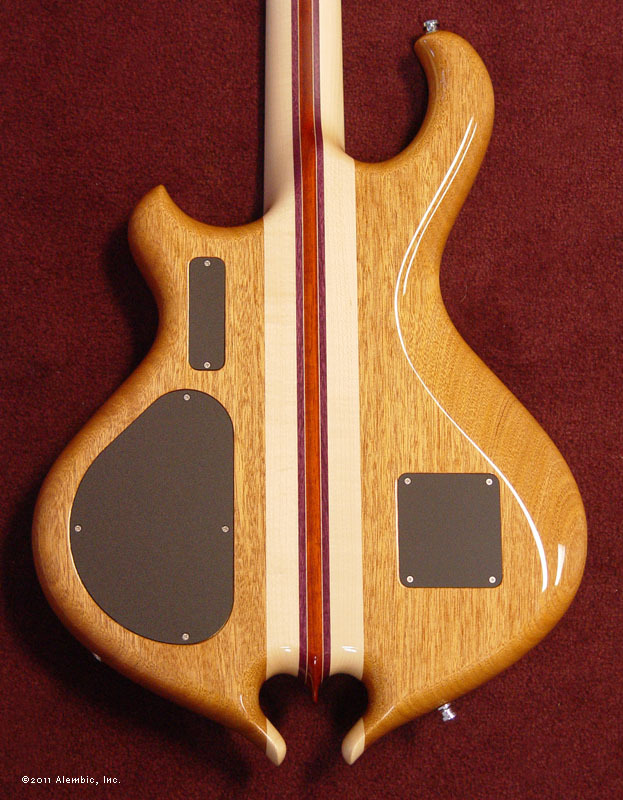 They are like little tanks, and when you plug in, a satisfying "kerchunk" answers.